Across from the island of Roda on the east side stands the great hexagonal intake tower for the aqueduct built in Mamluk times. 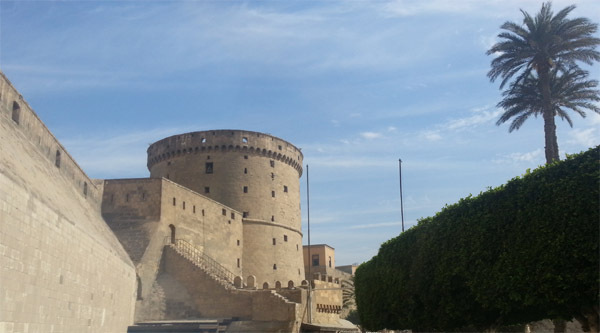 Almost 25 meters high , the tower has a well at the center from which Nile water was raised by six waterwheels (saqyas), turned by oxen that were herded up to the tower by a ramp on the east side. The water then ran by gravity along the aqueduct east and then north to the Citadel. 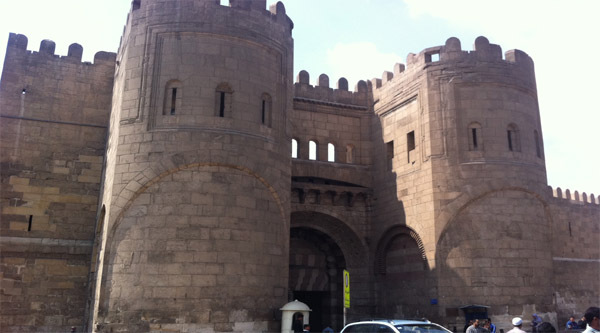 The idea of constructing water-bearing vaults dates back to the times of building the Citadel by Salah al-Din (1169-1893), who established a wall of Cairo that starts near al-Fustat city and makes a canal for water flowing from a well. 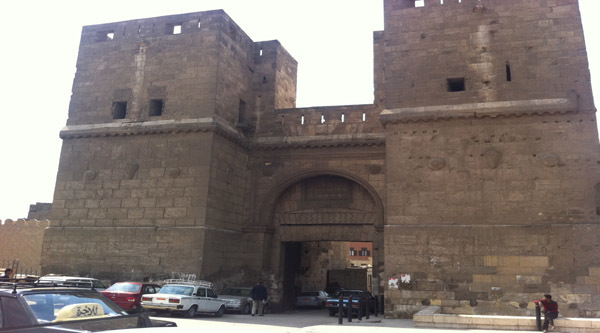 Sultan al-Nasir Muhammad Ibn Qalawun considered another project to increase the flow of water from the Nile to the citadel and in 1312 he ordered the construction of a huge tower comprising four water-wheels in the area of Fum Al-Khaleeg. 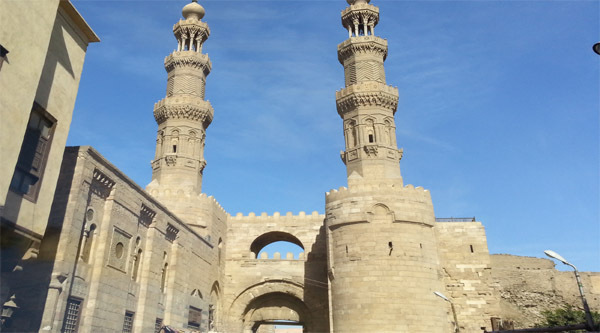 The Nile lifts the water into a channel that is located above a series of high-rise arcade that are placed on massive stone pillars and designed in a slope to connect to the basins constructed by Salah al-Din to run the water towards the Citadel. 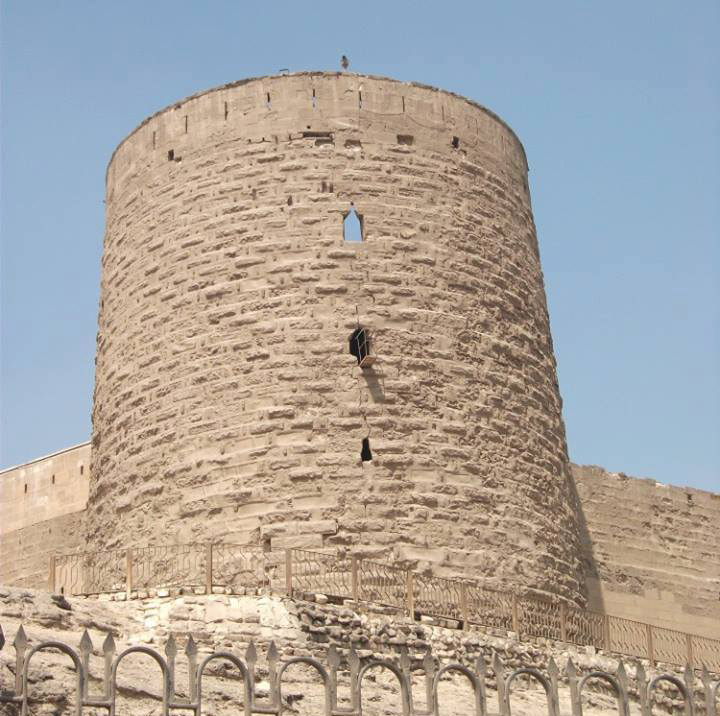 Nasser Mohammed aimed to provide the Citadel with sufficient water for soldiers, animals and to irrigate the crops. 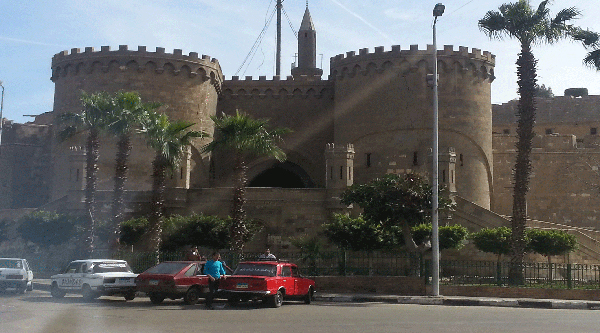 The aqueduct functioned as the water source for the Citadel until the city water system was developed in 1872. 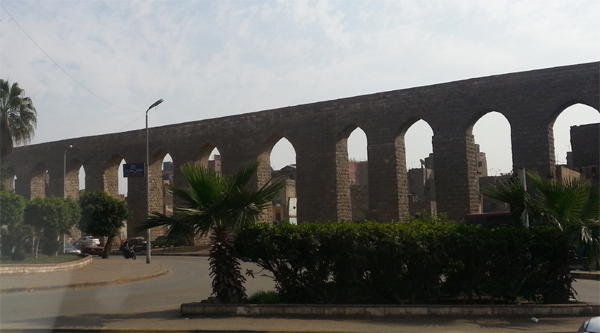 More than 300 arches make up the aqueduct wall, Magra al-Oyoun, means “water course of the springs”. The westernmost part of the aqueduct and the tower are inscribed with the name of Sultan al-Ghuri, who erected this section in 1507, while the part of the aqueduct running to the north dates earlier to 1311, in the reign of Sultan Mohammed al-Nasir. Now there are 6 large gaps in the aqueduct made by roads and railway lines, and the section approaching the Citadel is gone completely. 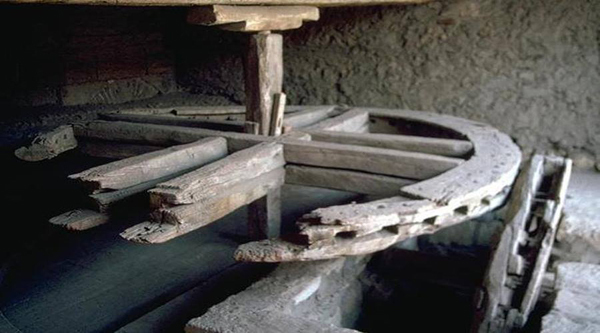 During the restoration works of 2010 the 4th, 5th and 6th waterwheels were discovered, complete with clay scoops to lift water from the well. The length of the remaining part of the water basins is about three kilometers. These water basins are one of the most beautiful examples of waterways not only in Egypt but in the whole Islamic world.